Replaces any standard oulet with ease. Protects children: patented shutter system helps prevent improper insertion of foreign objects—now with black "invisi-shutters" for an invisible effect preferred by end users. High-impact resistant thermoplastic construction and long-term blade retention for extended service life. Superior protection than traditional outlet caps or protection plates. Low-profile face; ultrasonic welding of face to back body for greater reliability. Side-access push wire release; side wire terminal screws #12 – #14 AWG solid wire; push wire terminals accept #14 AWG solid cooper wire only. Longer tri-drive screws and quick loop wiring aid for easier #12 AWG looping. Captivated mounting screws offer hassle-free installation. Includes 4 USB type A charging ports. 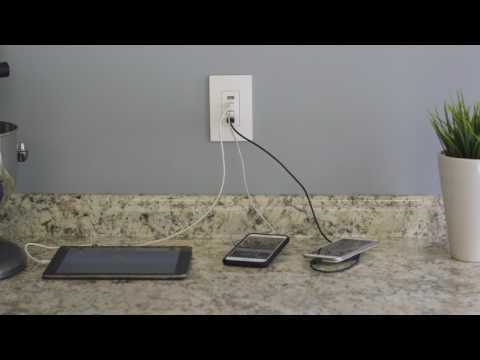 Simultaneously charges up to 4 mobile devices. Slim 1.3" depth fits in any box. Back and side wire terminals for installation flexibility. Accepts standard Pass & Seymour Wall Plates. Ideal for hallways, ktichens and nurseries. Five adjustable light settings, including Ultra Low, Low, Medium, High and OFF. 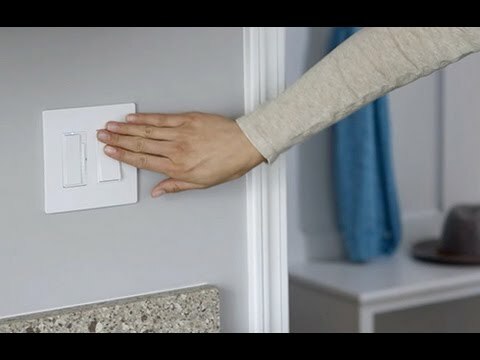 Hidden sensor automatically controls night light based on ambient light. Rated 5 out of 5 by Wagarific918 from Easy to install and looks super great on my walls. I received the dark bronze tamper resistant receptacle to try for free. The package opens easily and instructions for installation were easy to follow. I did not run into any problems installing the receptacle. Rated 5 out of 5 by PamCheek from Great Receptical I was pleased that this Receptacle was true to color for the Nickel plate. It also met my needs for tamper-resistant for my grandchildren's safety. It seems to be sturdy and should last for years to come. I would recommend. Rated 5 out of 5 by Tammy JoG from Great receptacle! This receptacle is gorgeous, easy to install and works great! I highly recommend it! I was really impressed at how easy it was to install! It looks amazing! The nickle finish is a stunning look for any home or business! Rated 5 out of 5 by Cmella from Stylish I received this as a free sample and I wasn't sure what to expect but I'm truly happy with the quality and the color of the product. It gives my living room some pop of color because most of the walls are white. I think the color is unique which is like a beige tan with a pinkish tone. Rated 4 out of 5 by Armywife92510 from Nice finish This receptacle added just the right finishing touch to my remodeled bedroom. It’s very sturdy and should last a long time. The nice nickel finish matched my other nickel hardware quite nicely. I was impressed with the quality of this product and will be buying more for future remodeling projects.